Learn about our local history at the Cracker Trail Museum. This museum displays many items from the local pioneer families that developed this part of Florida. The Florida Crackers, often called cow-hunters, raised cattle and horses. The museum is located on US17 just west of the US17/FL64 intersection. Bok Tower Gardens is a National Historic Landmark and offers contemplative outdoor activities. The Singing Tower and gardens and trails are great for an picnic outing, geocaching or just a hike. Tours are offered at Lions, Tigers and Bears. This non-profit animal refuge provides limited tours of their facility which is only about a half hour from our park. Their hours are limited so check their website for a scheule of their educational tours. The Hermann’s Royal Lipizzan Stallions can be seen performing during their winter training sessions between December and April. They are located in Myakka City and well worth the trip. Feeling artsy? Visit Solomon’s Castle, where funky junk art includes the castle, its contents and the grounds around. Enjoy a castle tour and then lunch at “The Boat in the Moat” featuring deck or interior dining. If you are a kayak or canoe enthusiast, the Peace River Paddling Trail is nearby. The nearest access point is at Pioneer Park in Zolfo Springs – only a couple miles West of the Florida SKP Resort. 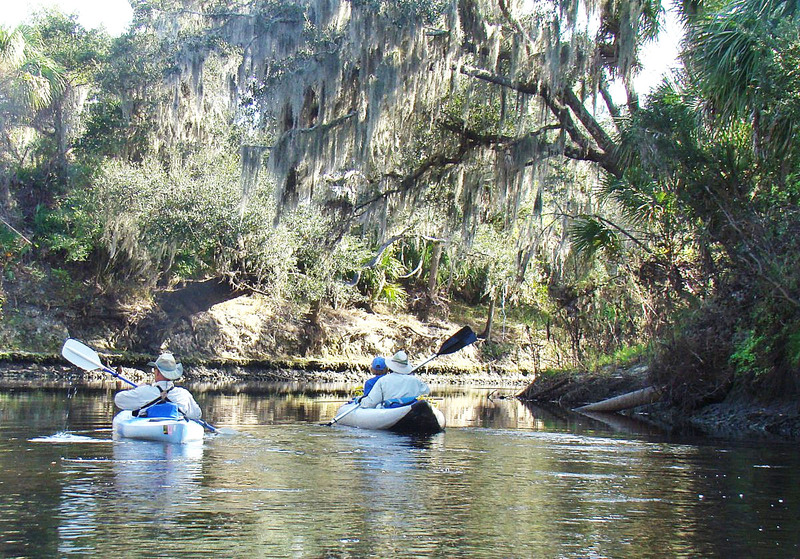 The entire designated paddling trail from Bartow to Arcadia is some 67 miles, roughly parallel to US-17. Incidentally, the Peace River gets its name from the Spanish who called it Rio de la Paz as early as 1544. In Lakeland, FL on the Florida Southern College campus are 13 buildings and structures designed by Frank Lloyd Wright. If you appreciate interesting architecture, this is a treasure you do not want to miss. “The Most Beautiful Campus in the Nation” is about an hour away at 750 Frank Lloyd Wright Way. Close by is Highlands Hammock State Park featuring hiking, biking, birding, tram tours, and a Civilian Conservation Corps Museum.